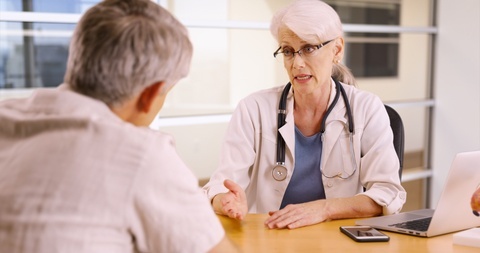 There is some good news this week for peritoneal mesothelioma patients considering cytoreductive surgery (CRS) and hyperthermic intraperitoneal chemotherapy (HIPEC). Not only can the procedure provide long-term mesothelioma survival, but even patients who have complications experience an improved quality of life within six months. The news is based on two newly-published studies, one conducted in France and the other in Canada. Surgical oncologists at the University of Lyon have been performing CRS/HIPEC on select patients with peritoneal cancers such as mesothelioma since 1989. In their evaluation of 1,125 procedures, including 84 mesothelioma patients, over the past 25 years, median overall survival was 42 months and improved significantly for each 5-year period. “This study demonstrated that CRS and HIPEC provide long-term survival irrespective of PC origin, and survival improves with experience,” writes author and researcher Guillaume Passot, MD, in the Journal of Surgical Oncology. Fourteen percent of peritoneal mesothelioma patients in the study were still alive ten years after their surgery. Just as importantly, many mesothelioma patients who survive after CRS/HIPEC appear to also enjoy a good quality of life. To conduct their quality of life study, researchers with the University of British Columbia and the University of Toronto reviewed data from people with peritoneal malignancies, including mesothelioma, who were treated at their institutions from 2011 to 2014. They singled out the 42 cancer patients who had had quality of life evaluations six months after surgery. What they found was that even patients who had major complications after CRS/HIPEC, including things like abscesses, bleeding, pleural effusion, and renal failure, were feeling as well as the people who had few complications by their 6-month evaluation. “There were no significant differences in 6-month QOL scores between patients with and without major complications, globally or in specific domains,” writes lead author Trevor D. Hamilton, MD, in the Annals of Surgical Oncology. CRS/HIPEC patients with uncomplicated surgeries stayed in the hospital about 13 days, while those with complications had to stay as long as 35 days. Like all forms of mesothelioma, peritoneal mesothelioma is typically caused by exposure to asbestos. It accounts for about a fifth of the 2,500 annual mesothelioma cases in the US.